If you’re a piano player and a decent sight-reader and you’ve never had the opportunity to do anything with your musical talent, you might want to consider volunteering to play ballet class music for a ballet school in your area. 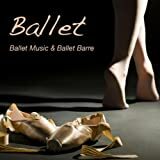 Ballet class music is fun and easy to play and many schools will even pay a decent wage for your service once you become proficient at it. First, you will need to understand the basics of the ballet class. Obviously, if you studied ballet at some point in your life that would help a lot, but it isn’t necessary. Boris Karloff may not have been the Prince of Scary Pictures (when there could actually be such a thing), but along with Bela Lugosi, Vincent Price, Peter Lorre, as well as Lon Chaney, Karloff was one of the classic horror movie actors. However his vintage role in which made him known had been as the beast in Frankenstein. As Halloween approaches, Frankenstein costumes are still classics as well as available on the shelves of the nearby costume and party retailer. Of course, there have been so many variations on the huge horror film over the years that the original classic Frankenstein film from the thirties is honored more like a camp classic rather than an actual horror film. Horror movie monsters today convey more gore and are characters such as Michael Myers in the Halloween motion pictures, Freddie Krueger from A Nightmare on Elm Street or perhaps Jason Voorhees from the Friday the thirteenth movies. As the nationwide obesity epidemic peaks, many parents are looking for ways to keep their children in shape. Soccer, football, gymnastics and other sports are popular, but there’s another option for parents and children alike. Dancing can help keep kids active, but if you’re looking into dance classes for your children, you might be wondering which type of class is best for you. Here are three different options. Each type has its own personality and style so choose carefully to determine which one is right for your child.